“Soil 1” is a part of the exhibition UP! – You can find all the projects at www.prokk.dk/up2017 …A lot of interesting artwork. “Soil 1” is made by Berit Jansson, Marianne Schneider & Annette Hornskov and is a part of the project “Thinking About Soil a.k.a. Soillove” – an ongoing research of what soil is and what it means through protecting soil, gathering soil, timing and archiving soil etc. 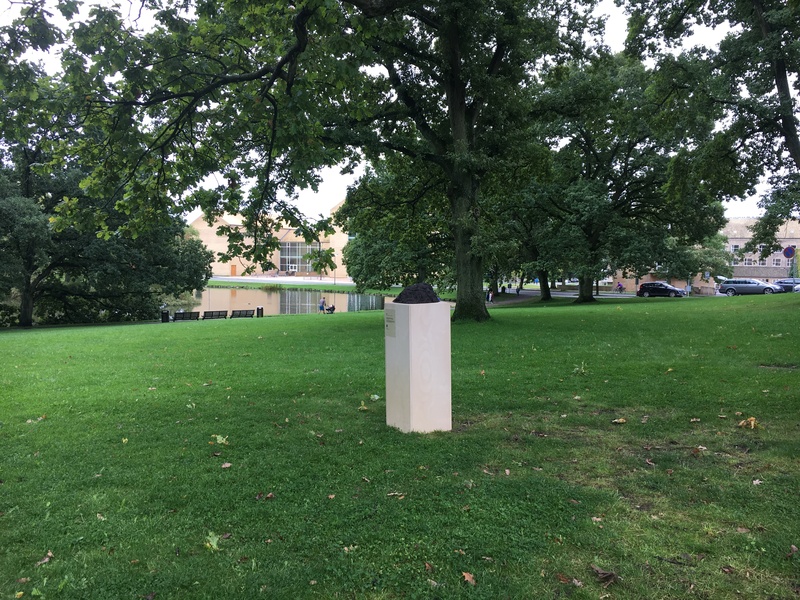 The artistgroup works with the material soil, which here literally is put on a pedestal. The work comments on its surroundings and the soil under our feet we often take for granted. – Soil is the skin of the earth. The work is exhibitet until the 30th of september 2017. UP! is an exhibition in Aarhus city space consisting of site-specific works intended to make us lift our gaze and look up. Each of the artworks reveals an uplifting element relating to the space they are created for. The artists play with the concept of ‘upliftment’ and interpret it both literally and figuratively. Some works are philosophical and challenge our thought, others appeal to our emotive capacity and others yet integrate quite literally in the city space intending to lift our physical gaze.